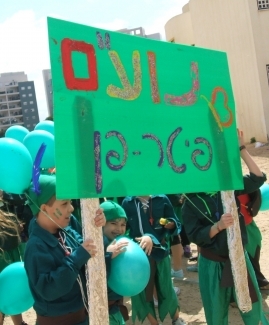 NOAM is the Masorti Youth Movement. It is a international program which provides a social framework of informal education for children & teenagers. We encourage involvement & young leadership in the Masorti Movement & in Israeli society as a whole. 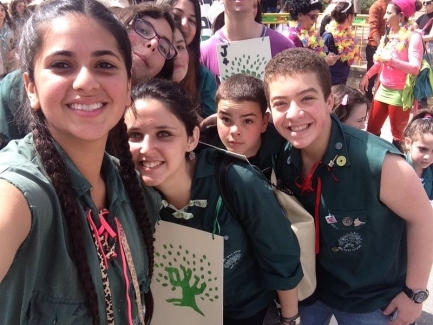 NOAM participants are involved in building society & culture with a focus on tikun olam and promoting social justice in Israel. We encourage the process of clarifying & consolidating a many faceted Jewish identity that is relevant today, the meeting ground between the tradition of our forefathers/mothers & Israeli national identity. We work to deepen Jewish identity through open discussions, serious study & meaningful experiences while maintaining an approach of pluralism & mutual respect. Participants of NOAM are members of the Masorti Movement & its congregations, contributing to their growth. We are part of the struggle for the recognition of the right of every Jew to practice his Judaism according to his beliefs. We work for the realization of the values of our movement including: Zionism, love of the land, meaningful service in the army, integration of immigrants solidarity & cooperation with the Jews in the Diaspora. Preservation of nature & quality of the environment, pluralism & preservation of equality between the sexes. 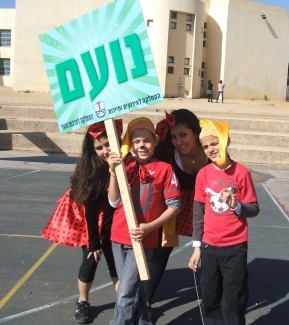 Participants in NOAM come from many different backgrounds & from every level of Israeli society. All the activities of NOAM take place in an atmosphere of mutual respect & equality, are both challenging & relevant, held in places accessible to all including children with special needs.